On April 14th, Holman Middle School hosted the St. Louis Suburban Music Education Association's Middle School Solo and Ensemble Festival on April14. Holman has been hosting the event since the early 1990s and on any given year, approximately 1,300 performances are given at the event by thousands of band, choir and orchestra students from Grades 6 through 8. Any student in a school district associated with EducationPlus, a regional education consortium, can attend and receive ratings from professional music educators in their respective areas. 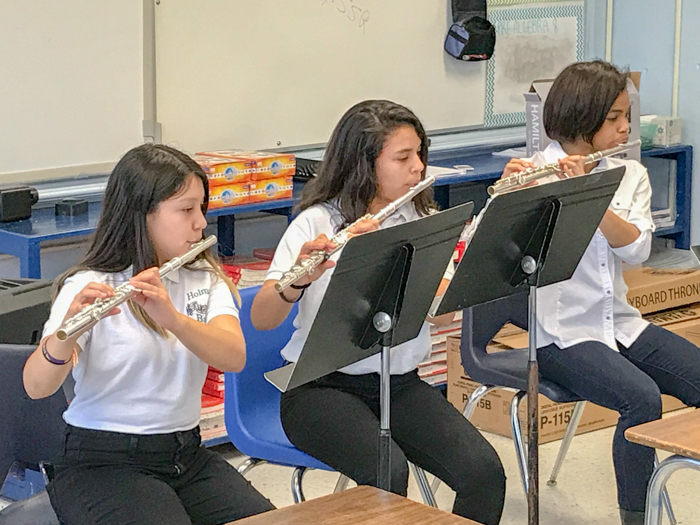 "Holman's musicians received extremely positive results and both parent and student volunteers were highly complimented by our guests," said Holman band teacher Adam Hall. Shown below are some of Holman's students performing at the festival.